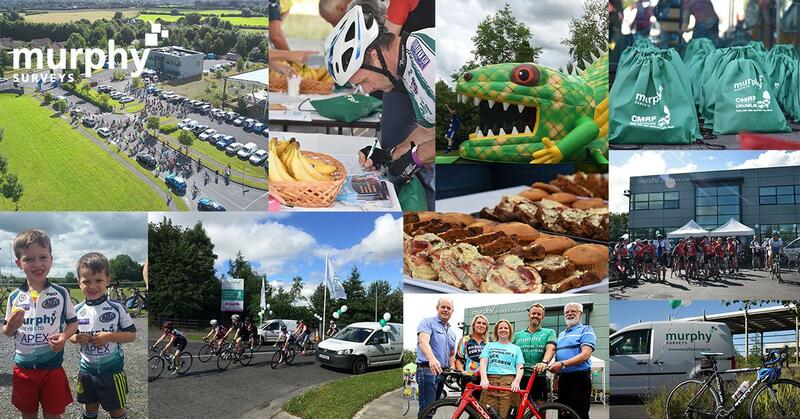 This year the ‘Cycle for Crumlin’ will take place on Saturday, July 21st. It is our fifth year to run the event and includes a 50km and a 100 km route. We would like to extend our thanks to everyone who took part and supported us in previous years – because of your support we have so far raised over €45,500! This year we are asking for your support to help us to reach our target of €60,000. CMRF Crumlin is the fundraising body for Our Lady’s Children’s Hospital, Crumlin as well as the National Children’s Research Centre and is dedicated to improving the quality of life for this and future generations of sick children. At their core CMRF Crumlin is patient centred, focused on child health and supporting families dealing with life changing challenges. Research goes hand in hand with child health and break through projects are changing the way they deliver care to some of the sickest children in the country. For many seriously ill children, early diagnosis and the right treatment at the right time is crucial. That is why they invest in research, as it is knowledge and insights that gives answers, improvements and breakthroughs. One of our main focuses is on transitional research – getting results from bench to bedside to deliver personalised medicine, individual treatment plans based on the child’s individual case, genes and responses. Crumlin want to discover more precise and faster diagnoses for children, targeted interventions and cures ultimately saving more children’s lives and improving long-term outcomes for each sick child. Thanks to research, today Alex, a Cystic Fibrosis patient has an average life expectancy of 45 years. Just 10 years ago a child with CF’s life expectancy was just 25. Forty years ago, children like Kerri with Lymphoblastic Leukaemia had a 10% chance of survival. Today, thanks to research, 90% of children with Lymphoblastic Leukaemia are cured.